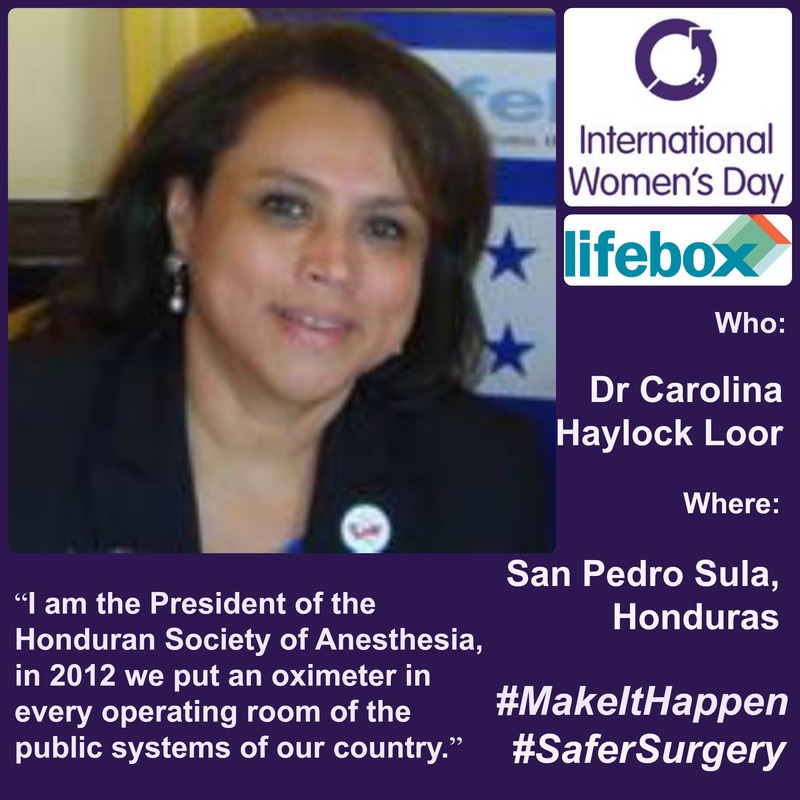 Lifebox is a not-for-profit initiative saving lives by improving the safety and quality of surgery and anaesthesia in low-resource countries. An email pings in from Boston, USA – subject: Oximeter to India? As l read Lifebox chair and co-founder Atul Gawande’s editorial published in the Lancet Commission on Global Surgery I am reminded of this moment: our part in a global chain reaction sparked in desperate response to the challenges faced by Dr Shrikant Jaiswal, first and only anaesthetist at Umarkhed Hospital in India. Pulse oximeters are the single most important monitors in modern anaesthesia, allowing healthcare workers to ensure their patients are adequately oxygenated and stable. 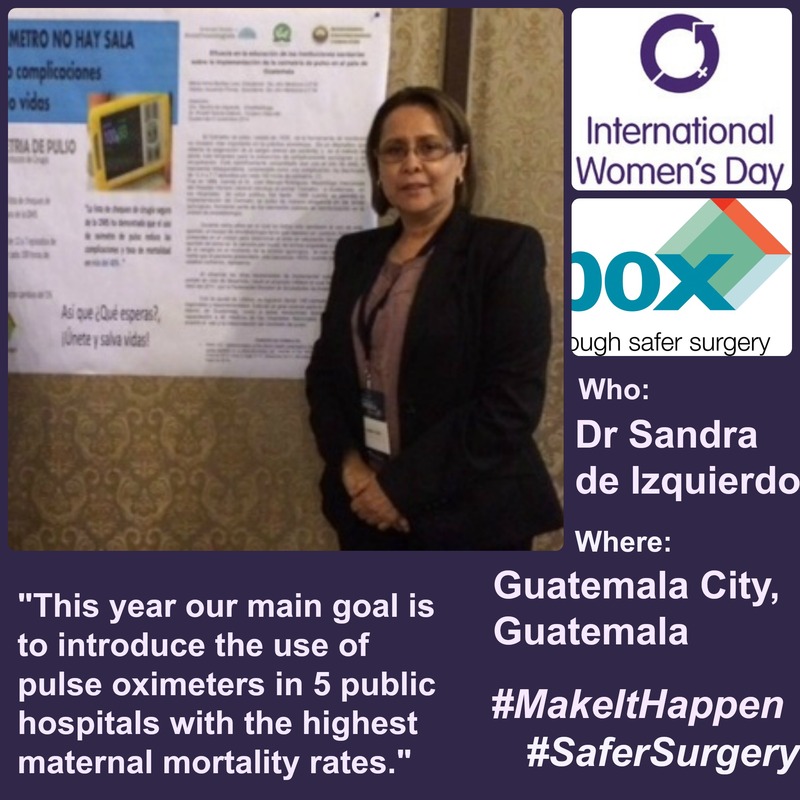 The Lancet Commission on Global Surgery, a year-long, collaborative research effort into the issue chose pulse oximetry as a proxy measure for safety in surgery: it’s a machine with enormous practical and symbolic value, and a key component of Lifebox’s safer surgery work. “Listening to Dr Jaiswal on the phone, I realised that for all the communities Lifebox had helped, we had not helped the community where my own family had come from,” Atul wrote in the Lancet. 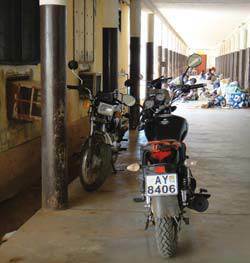 “How fast could we get three oximeters to reach the frontline in India?” he wrote to us. 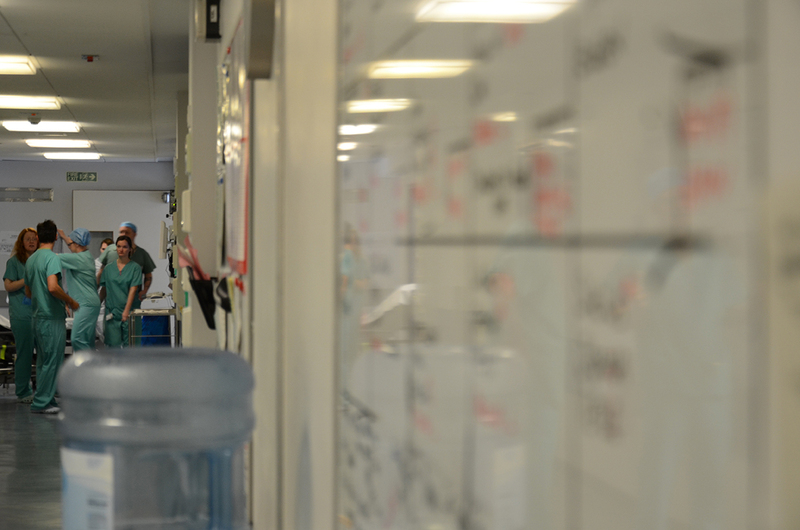 This moment also represents team work – it shows how a small group of people working together in a shoebox office in London respond to the needs of medical professionals, like Jaiswal, all over the world. 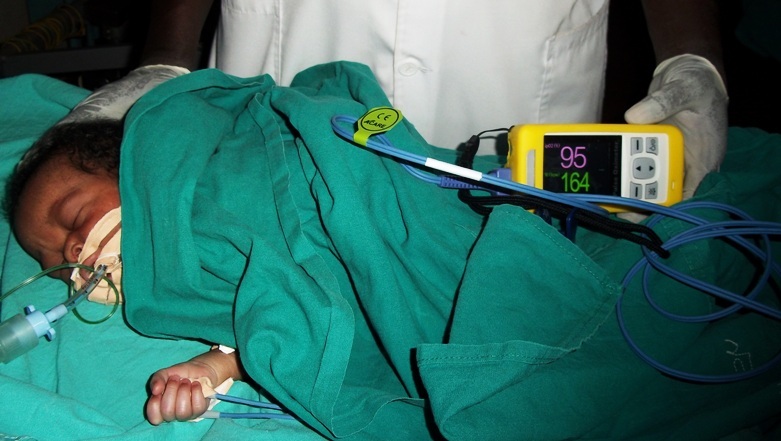 Since 2011, Lifebox has distributed nearly 9000 pulse oximeters to hospitals in 90 countries – working with anaesthetists, surgeons and healthcare professionals across low and high resource settings to ensure that more communities have access to safer surgery. 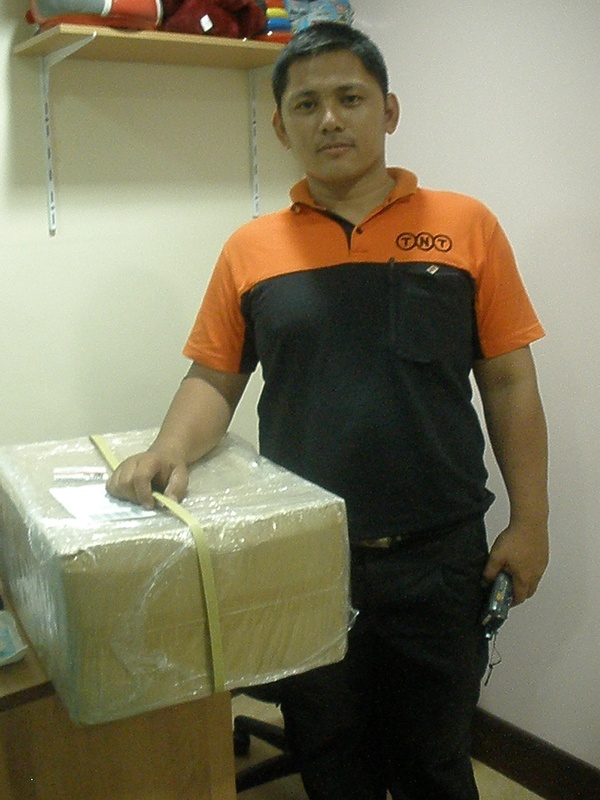 When Atul’s email came in, the next step was to pass on to Lifebox Procurement Manager, Remy Turc. 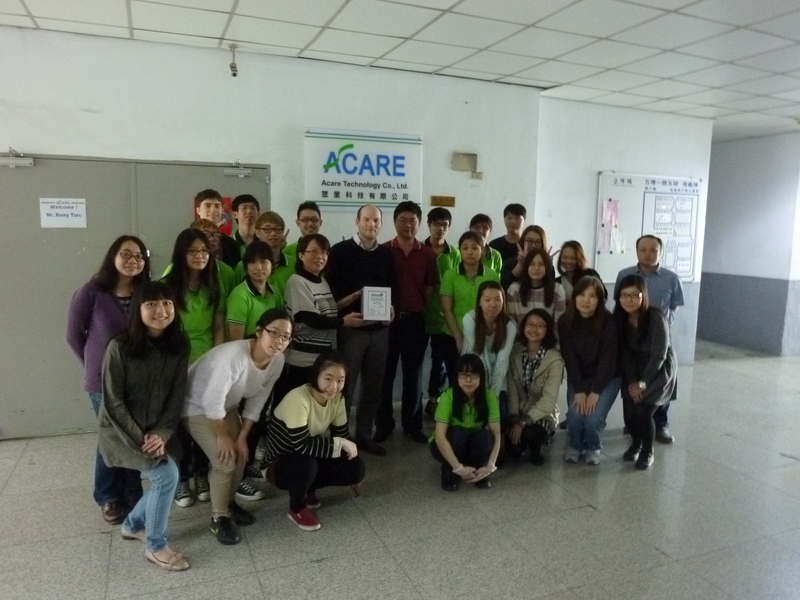 Remy handles the distribution of pulse oximeters, ensuring that this essential piece of monitoring equipment makes its way from our manufacturer in Taiwan, to hospitals in low resource settings. “I gave Lifebox Jaiswal’s address and made a donation for three oximeters to be delivered,” explained Atul. 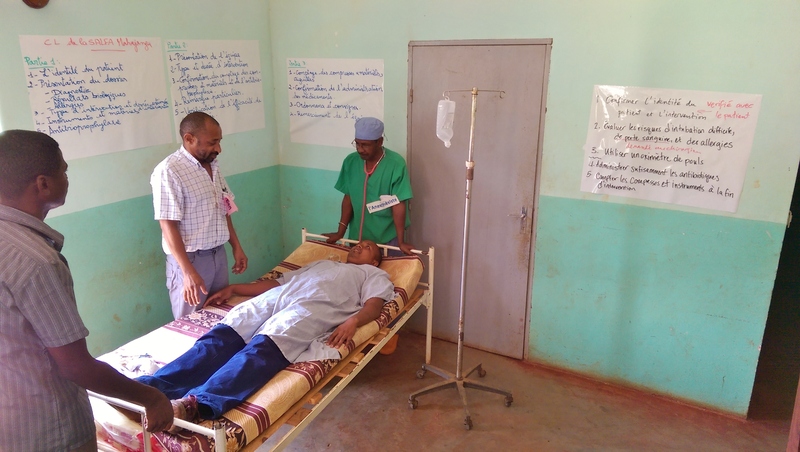 Thanks to a collaborative effort, in just over a week Jaiswal received the three pulse oximeters he so desperately needed in order to provide life-saving treatment – one for the operating theatre, one for the labour ward and one for the recovery room. 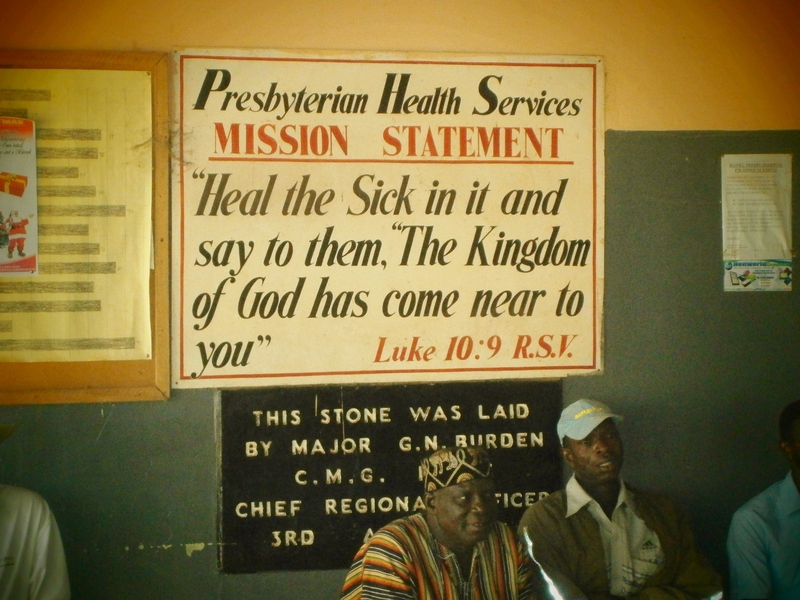 His story powerfully demonstrates the changing global health landscape. For the first time in history you’re more likely to be killed by a surgically treatable condition than a communicable disease; but in low resource settings surgery can be a challenge to access and desperately unsafe. 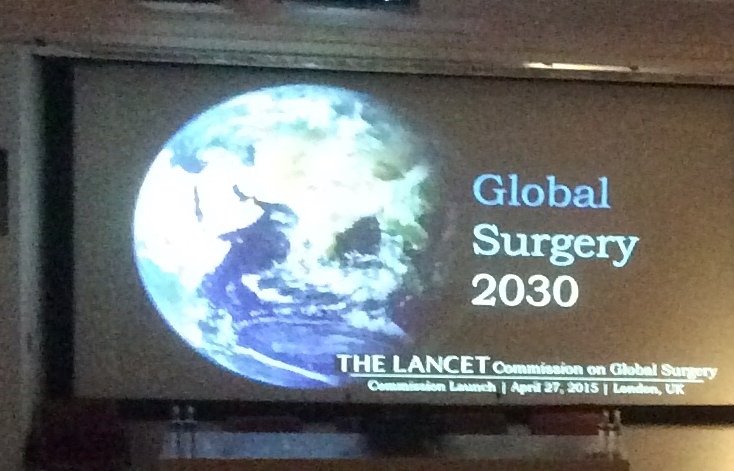 The recent launch of the Lancet Commission on Global Surgery, culminating in a report that aims to put the problems of essential surgery at the heart of the global health agenda offers a rallying call – Universal access to safe and affordable surgical and anaesthesia care for all when needed. 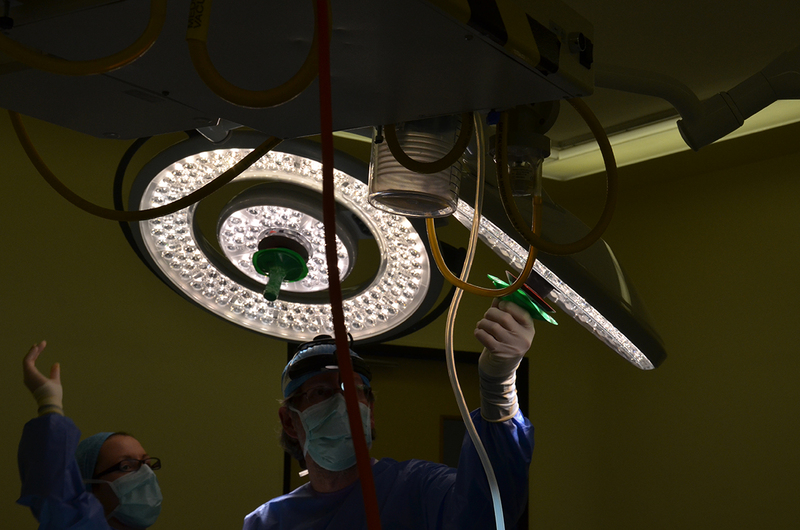 According to this report five billion people cannot access safe surgery when they need it, with 33 million others facing catastrophic expenditures paying for surgery and anaesthesia annually. There are huge challenges ahead but the dedication of people like Jaiswal is what keeps us going here at Lifebox. We are committed to the distribution of essential monitoring equipment, education and training – to saving lives though safer surgery. To learn more about what we do click here. For the third year running, Lifebox ran to sign up and attend the Rotary International in Great Britain & Ireland Conference – now in its 90th year, dignified and dedicated as ever! 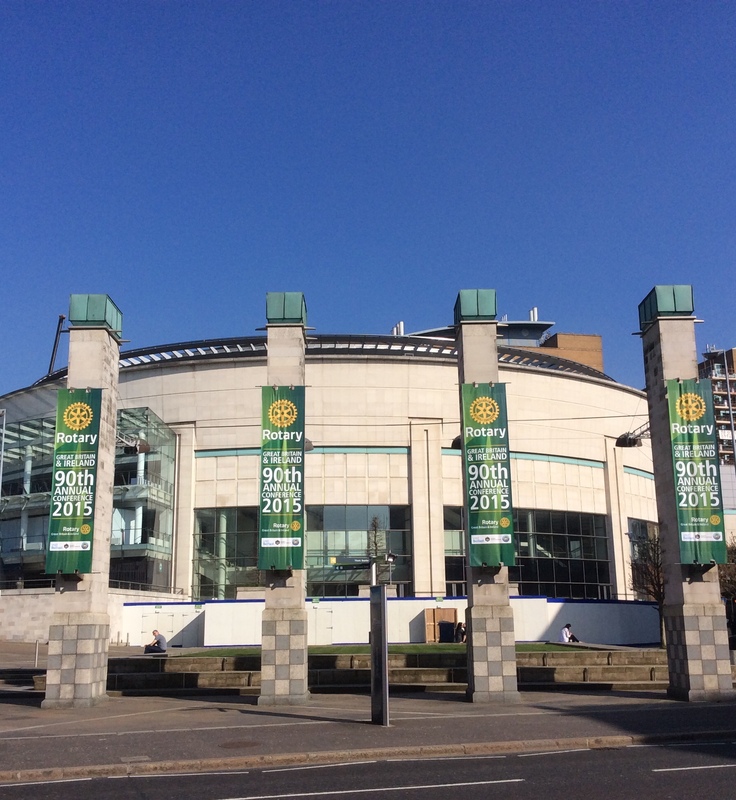 More than 1,500 Rotarians from across the country gathered in sunny Belfast at the Waterfront Conference Centre, a grand venue with its toes on the edge of the beautiful River Lagan. They came for a weekend of talks, presentations, voting – and of course to support worthy causes both in the UK and around the world. We were thrilled to share our safer surgery story, and to stand amongst a number of great organisations, including our good friends Mercy Ships, who we’ve recently worked with in Madagascar. There are two important things we’ve learnt about Rotarians over the last few years: firstly, they’re a network of enthusiast, caring individuals with a passion to support communities around the world. From providing humanitarian assistance to fundraising for local hospices, Rotary clubs and members engage with a diverse range of community issues. 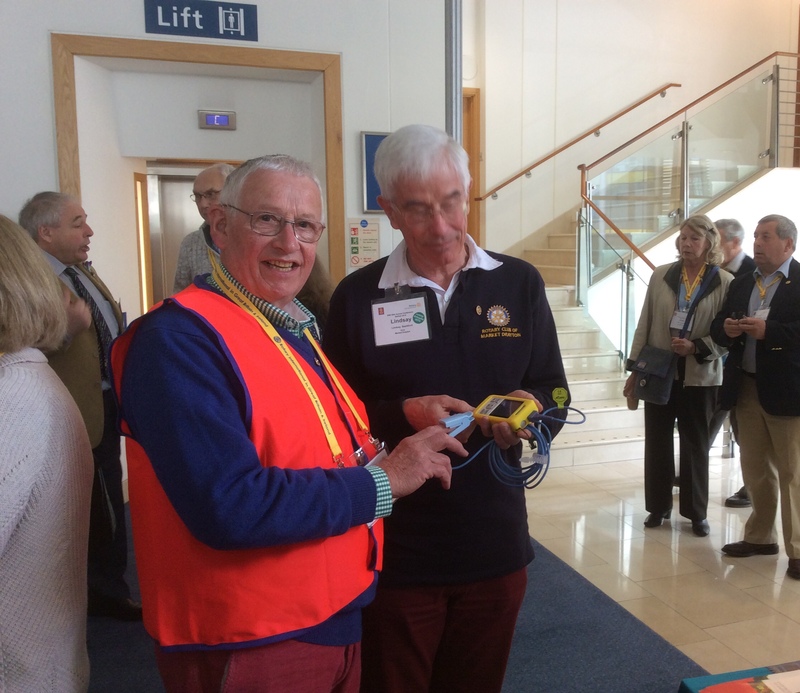 Secondly, Rotarians appreciate practical initiatives – and we are not too humble to admit that the Lifebox pulse oximeter was a crowd pleaser at this year’s conference! Rotarians beelined to our stand to get their blood oxygen saturation checked, lured by the bright yellow box in middle of the table. Our response: safer surgery of course. 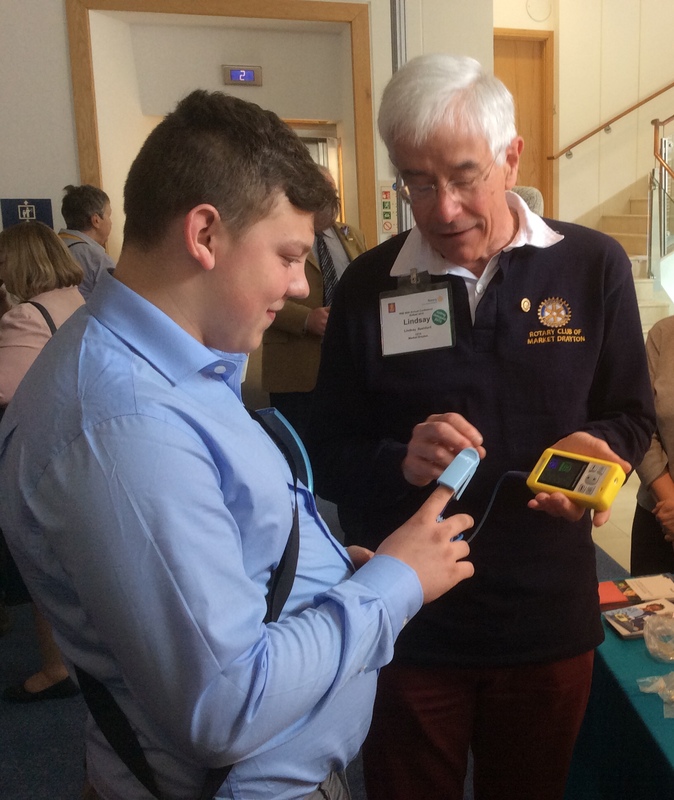 As word spread about the pulse oximeter, thanks to the help of Lifebox champions/dedicated Rotarians/proud parents Lindsay and Barbara Bashford, more and more people visited our stand to learn how this vital piece of equipment is saving lives. Thanks to Rotarians’ generous support, more pulse oximeters are now whizzing across the globe to hospitals where they are desperately needed. 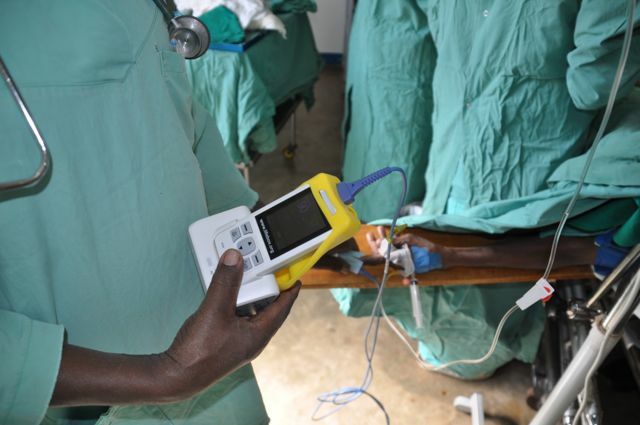 We are closing the pulse oximetry gap slowly but surely, and we won’t stop until every operating theatre in a low-resource setting has this essential monitoring tool, the training to use it appropriately, and the safety systems in place that keep patients safe. We had a wonderful time in Belfast meeting all the Rotarians who are helping us to make safe surgery happen, finding new Rotary friends and learning about the diverse range of projects they support. We hope they enjoyed meeting us too. Here’s to an even sunnier conference – and a bigger beach – in Bournemouth next year! It’s late on a Monday and l’ve been scrolling through my Twitter feed for the past hour. I don’t normally spend this much time on one Twitter session but it’s almost as if I’m reading a book that I just can’t put down! The reason for this: it’s the night after International Women’s Day. March 8th, a date that has become increasingly important on my calendar over the last few years. For me, this one day in the year is symbolic of a global effort to recognise and celebrate the achievements of women and girls all over the world, and to shine a light on the injustices they continue to face. 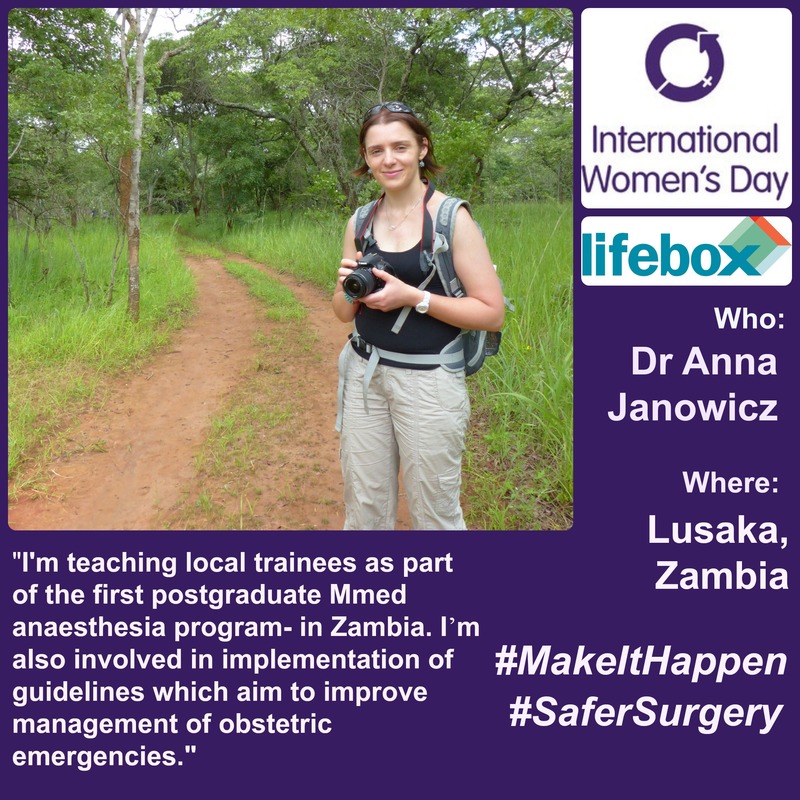 And since joining Lifebox Foundation as a Communications Assistant in January, I’ve learned about a new one: unsafe surgery. For the first time in history you’re more likely to be killed by a surgically treatable condition than a communicable disease, but in low resource settings surgery can be a challenge to access and desperately unsafe. And all too often, women bear the brunt. Social media has become a powerful tool for sharing these experiences. And across great distances, it mobilises us all, encourages us to advocate for change. Sometimes it begins with just one story. So when my colleague Sarah and I were planning our social media campaign for International Women’s Day this year, we really wanted to share the stories of some of the colleagues we work with around the world. 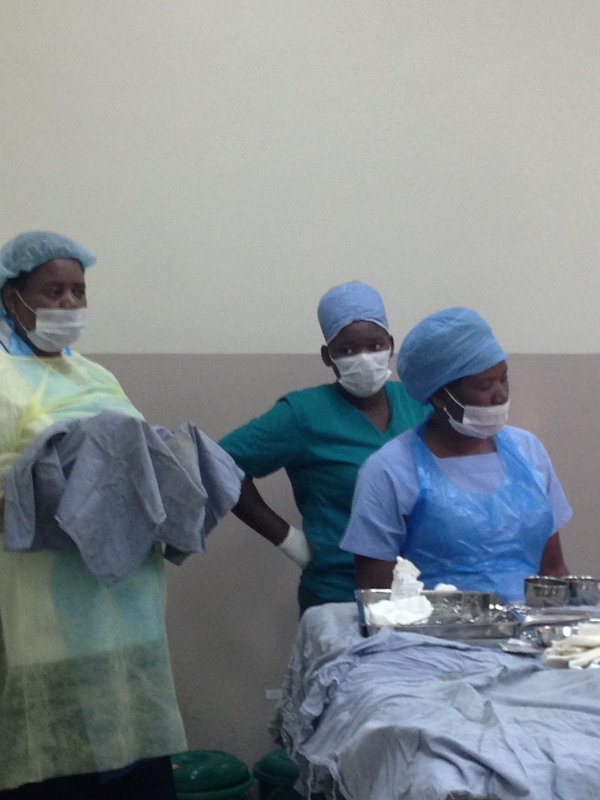 Women whose stories, from the forefront of the global crisis in unsafe surgery, show change in action. 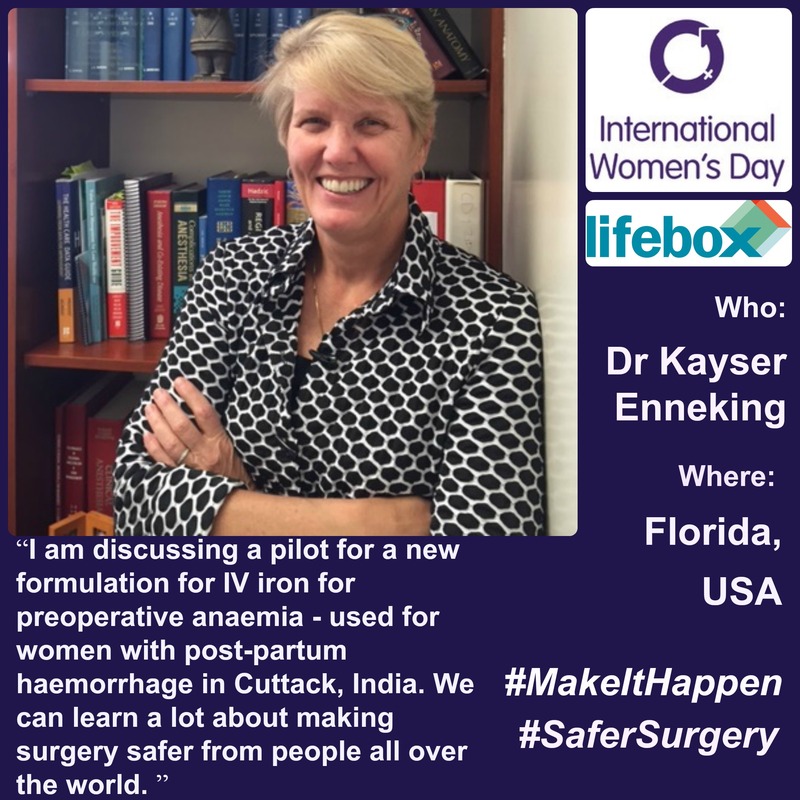 I’m still new to the world of a surgery and anaesthesia, but I quickly saw why this year’s IWD theme, ‘Make it Happen,’ is so fitting. 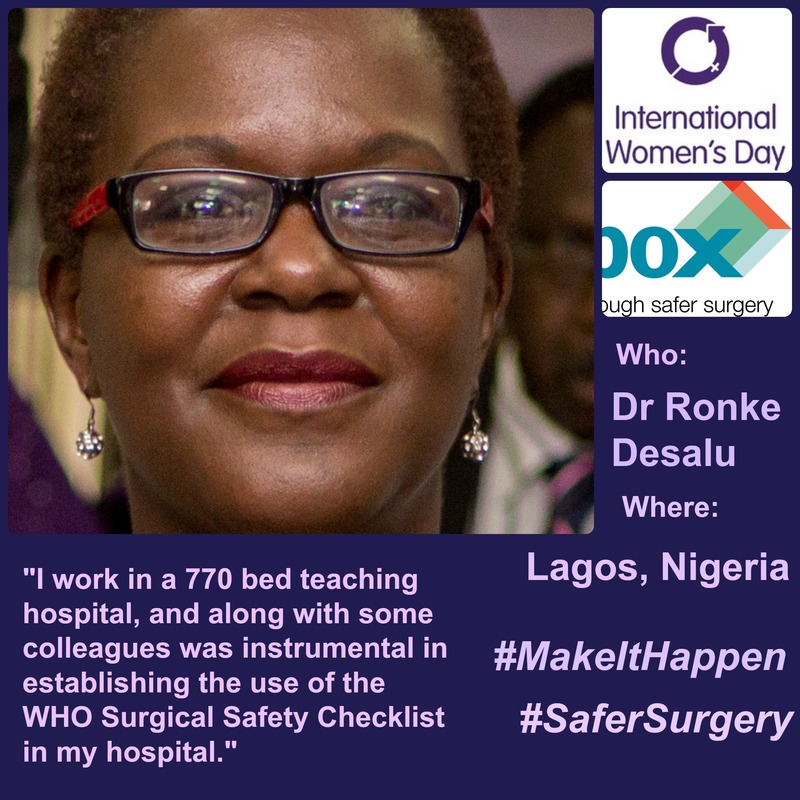 Unsafe surgery is a global crisis, and our colleagues around the world aren’t waiting to be told to fix it. They’re busy taking action. This essential checklist has been proven to reduce surgical complications and mortality by 40 percent. 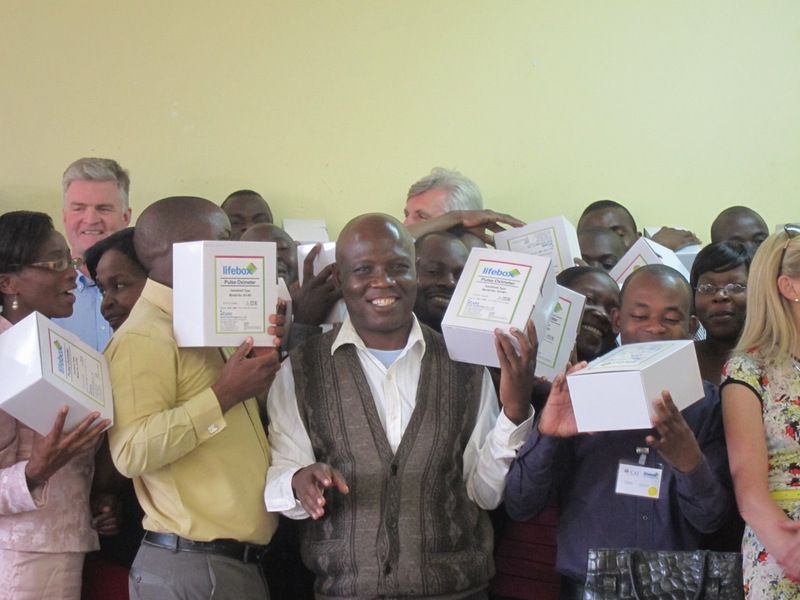 Distribution of pulse oximeters, training and education is a crucial part our work here at Lifebox – this robust tool means that anaesthesia providers in low-resource settings can confidently monitor their patients’ oxygen and blood saturation levels during surgical procedures. 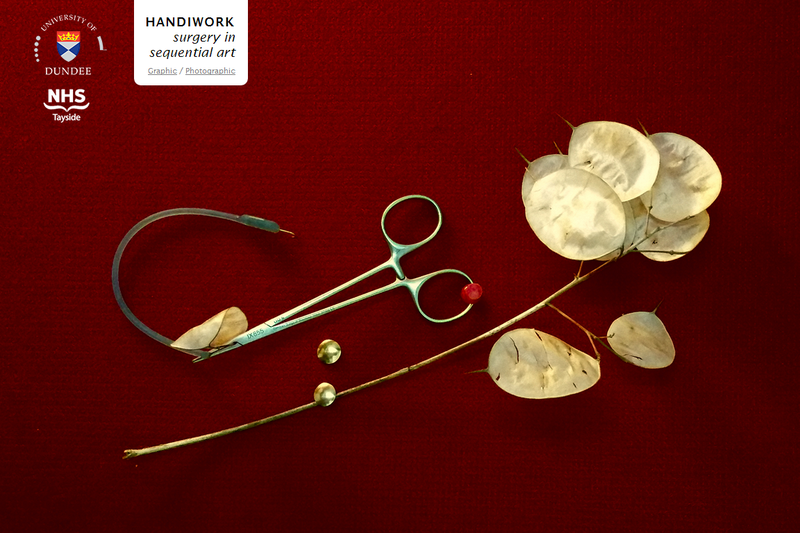 Over the last two weeks our Twitter and Facebook pages have been bursting with action, with ambition, with compassion and with the voices of women at the forefront of safer surgical care in their communities. There is so much work for them to do. 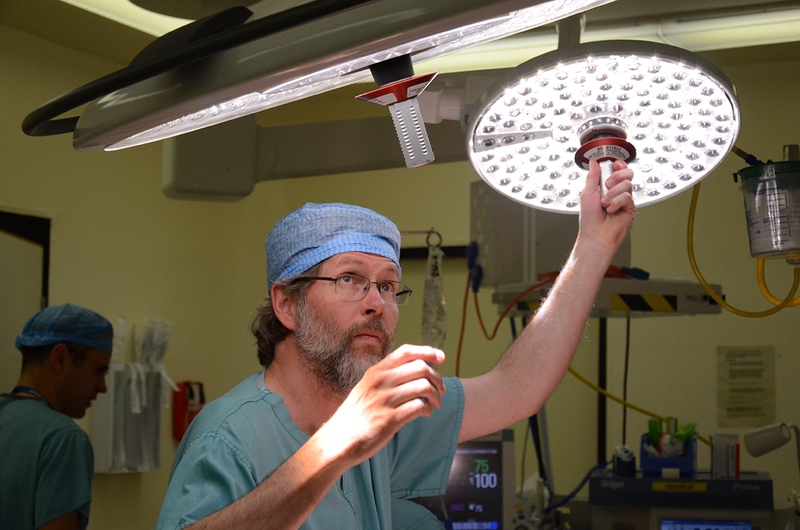 What l have learnt over the last month at Lifebox is that it is not simply a matter of whether people in low-resource settings have access to surgery, but whether they will even survive it. 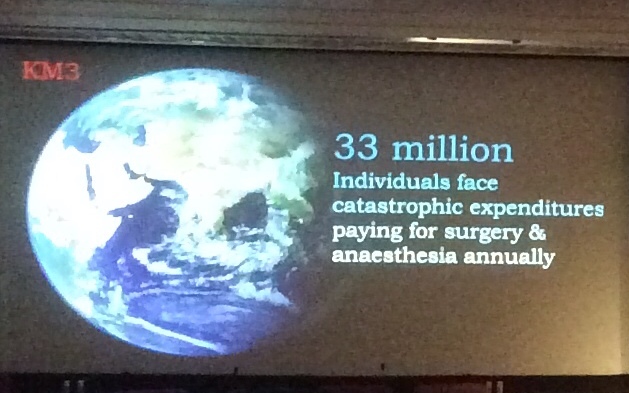 Anaesthesia is up to 1,000 times more dangerous in low-resource countries than in high-recourse ones. 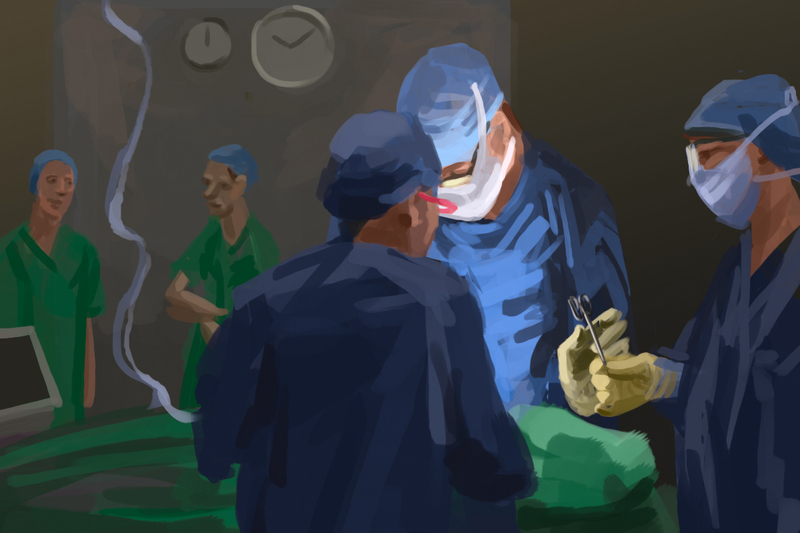 Unsafe surgery is a global crisis that not only affects patients and their families but it also has implications for the doctors, health workers and medical teams who attend to them. As I sat there scrolling, tweet after tweet, the resounding message about gender equality I took away is this – we must do more. 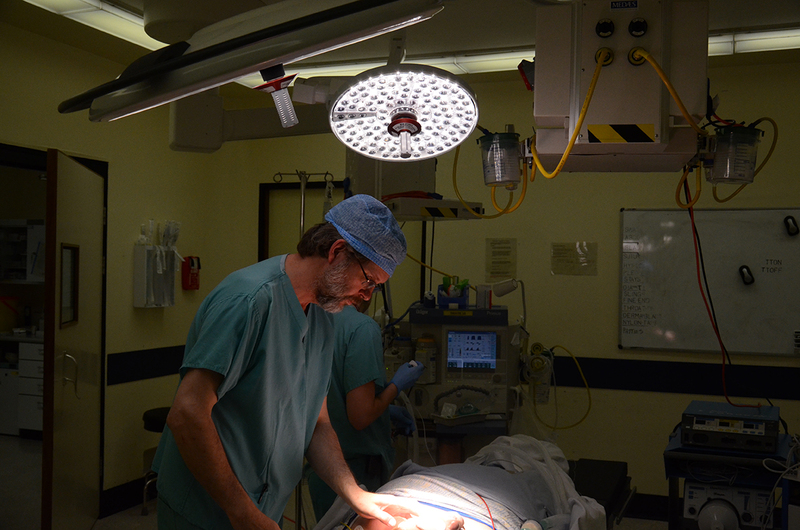 But then I thought about that day a few weeks back, when we emailed our colleagues to ask, ‘what are you doing right now to make surgery and anaesthesia safer?’ The answers came back so suddenly, so powerfully, so engaged. These women are already working to make it happen. Who are these brilliant individuals, advocating for global surgery at home and on the world stage? Click here to find out! Happy International Women’s Day. 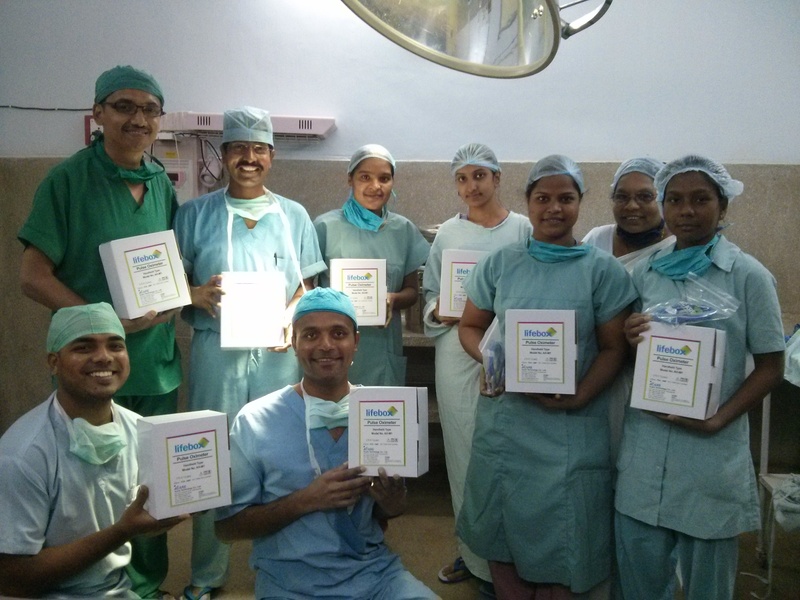 Here’s to our safe surgery and anaesthesia champions! The 70,000 global pulse oximeter gap keeps us busy. 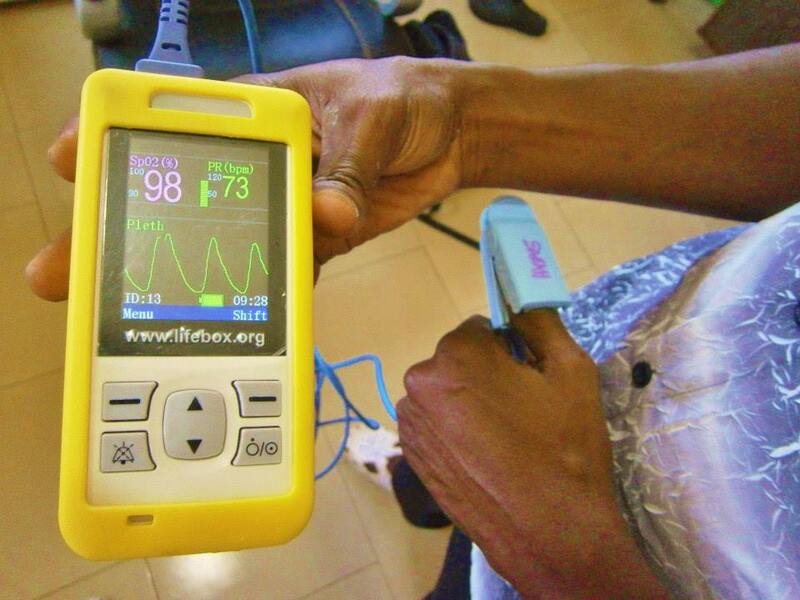 Not a day goes by without a Lifebox oximeter winging its way across earth and sea and sky to anaesthesia providers in the most remote hospitals worldwide, delivering life-saving surgery without this life-saving equipment. But some days the skies are heavier than others! 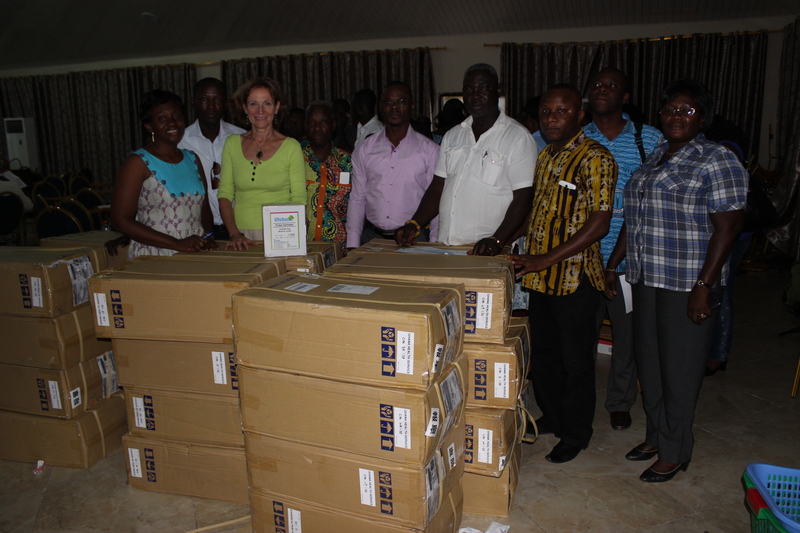 In October 2013, we sent a donation of 320 pulse oximeters to Ghana, to support safer monitoring across every government OR and recovery setting. Lifebox is a small team, and countrywide programme like this stand on the shoulders of giants. We had incredible partners – the Ghana Association of Nurse Anaesthetists (GANA) and Ghana Health Service (GHS), and well-named champions: Dr Thomas Anabah, consultant anaesthetist and intensivist at Tamale in the northern region of Ghana, and Dr Malvena Stuart Taylor, consultant anaesthetist at Southampton University Hospital (and G.A.S. 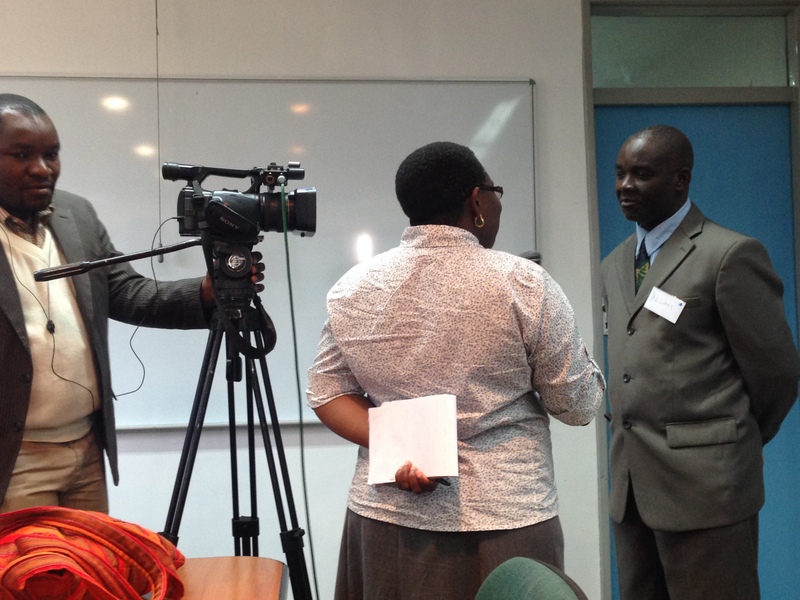 Partnership colleague, which has strong educational and training links with the Upper East Region of Ghana). We joined forces at GANA’s 10th Biennial National Conference in Koforidua. 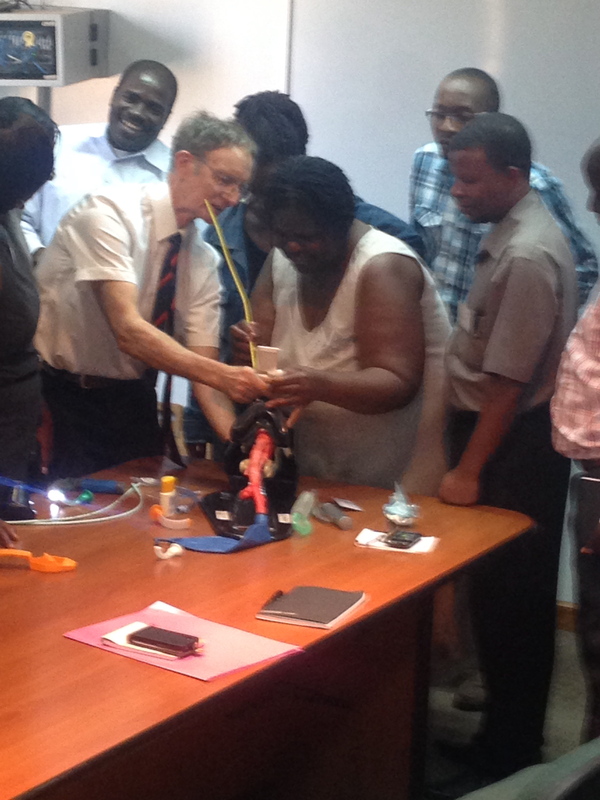 167 nurse anaesthetists attended workshops in oximeter maintenance, hypoxia guidelines, logbooks for ongoing learning and the WHO Surgical Safety Checklist – where this all began. Lives are saved by the anaesthesia provider who understands the physiology and the utility of oxygen monitoring, not the inanimate machine – so training is an essential component of any Lifebox distribution project. 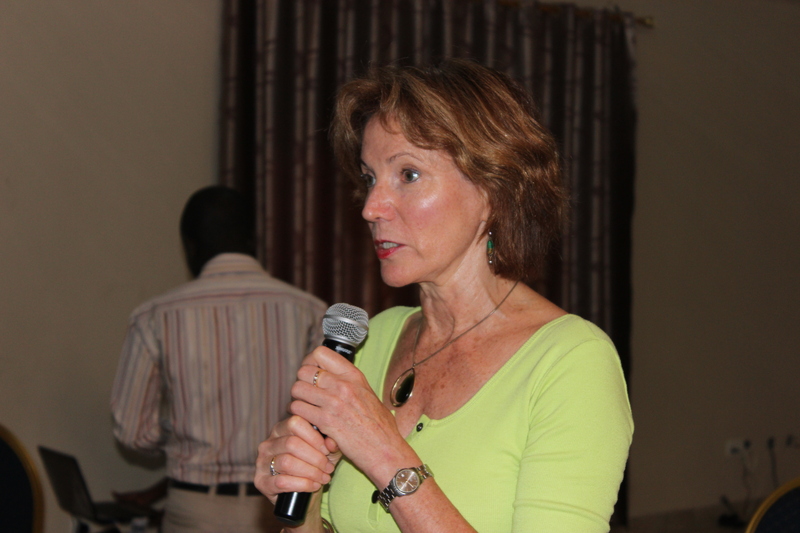 “There is no doubt in my mind the positive impact such training that we have been privileged to provide will be vital to the safety of patients in Ghana,” wrote Malvena, following the conference. Several months later – it was time to find out. 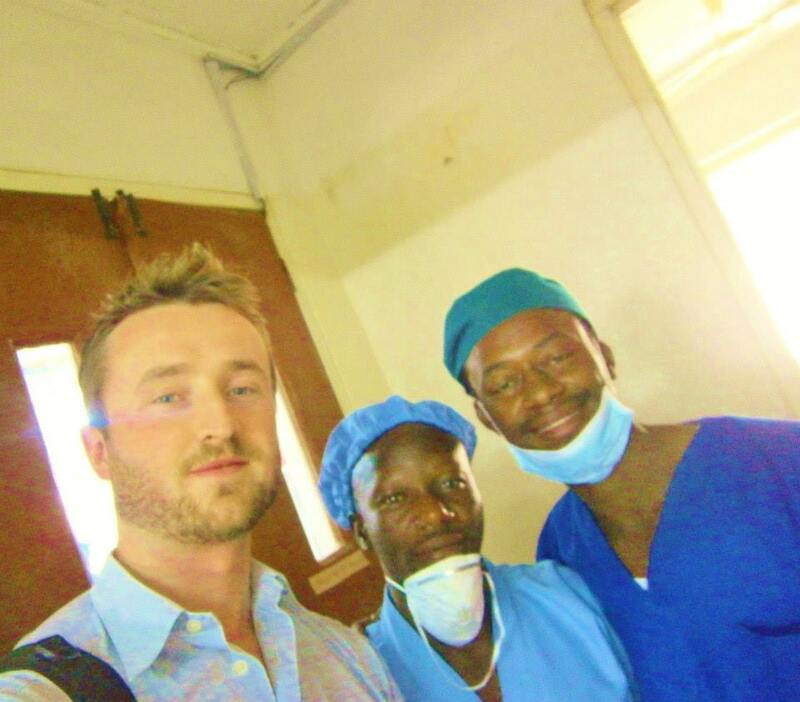 Shane Patrick Moran, a final year medical student – born in Ghana and excited to get back – spent several weeks visiting hospitals in the Upper East Region. 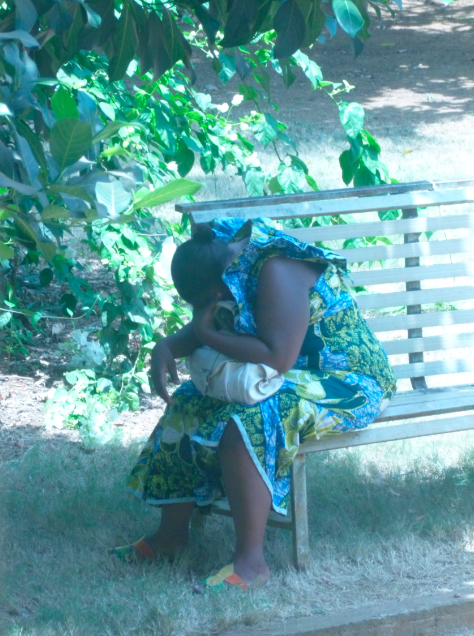 The aim was monitoring and evaluation, but not the coldly remote and modelled method – in person, face to face. 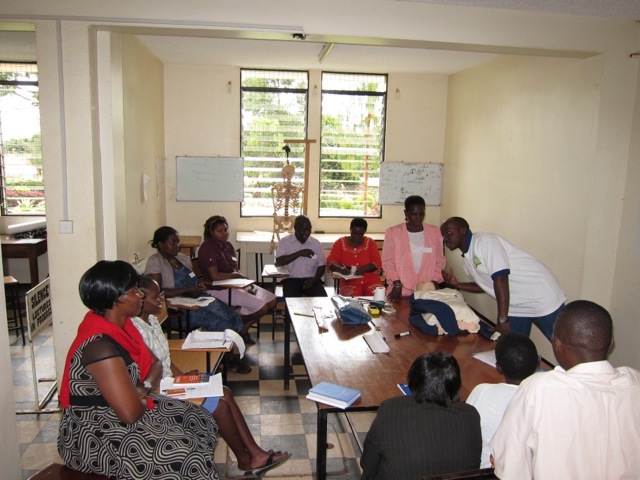 He was able to give the pulse oximetry needs assessment multiple choice questionnaire – used to indicate knowledge improvement and retention at Lifebox training – to 50 nurse anaesthetists. 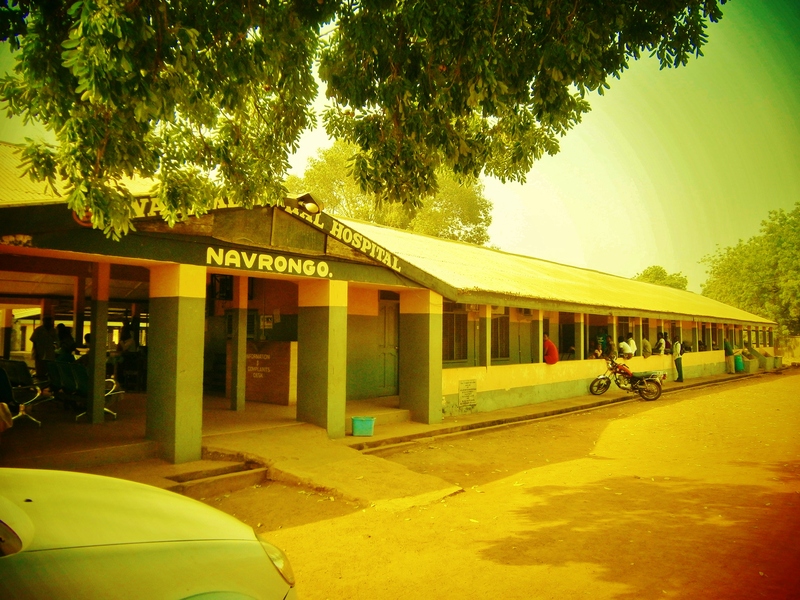 Results showed widespread understanding of the principles of pulse oximetry, while comparison of a few test scores from those who’d completed them back in Koforidua showed knowledge was holding nicely steady. Comments regarding the educational DVD which comes with each oximeter (and is also available online) were overwhelmingly positive. Professionally speaking, what were your biggest lessons learned on this trip? 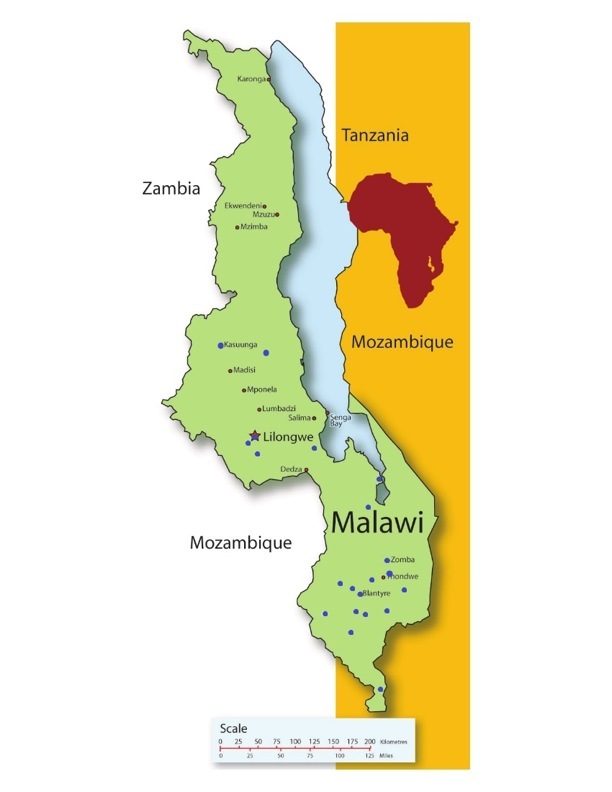 Experience of conducting research in a low-resource setting and the challenges which can arise. I learnt that no amount of prior planning can account for all eventualities. A fuel strike, communication issues, missing paperwork, and a minor medical emergency all affected the data collection phase. 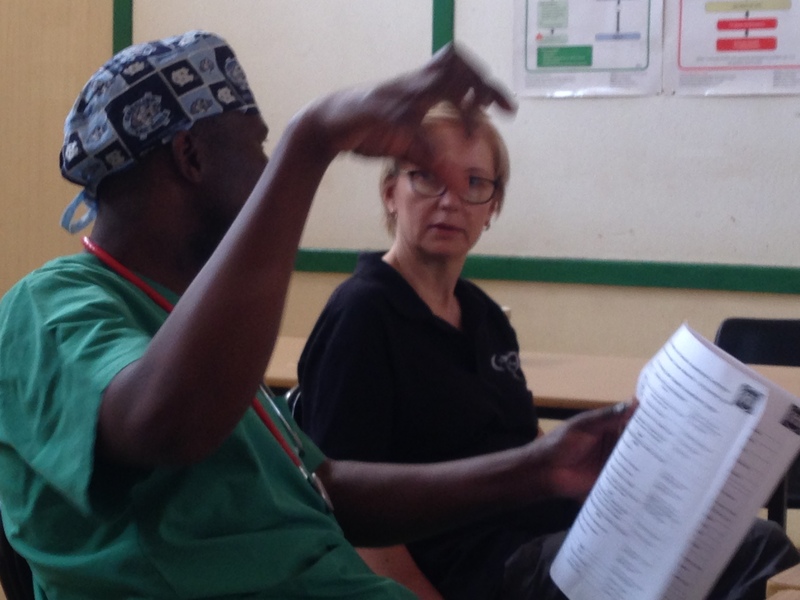 I especially learnt that the data and records which we take for granted in UK hospitals can be hard to come by in low-resource settings. As a result, data collection was a more complicated task than I’d anticipated. 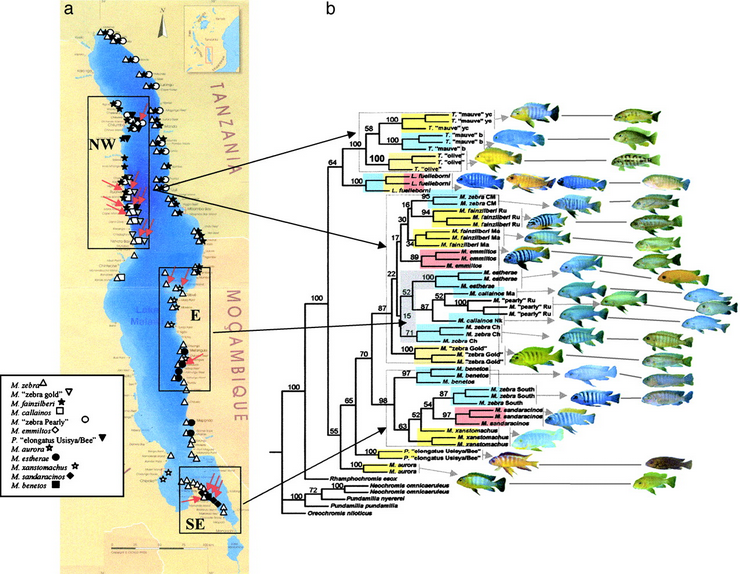 My research would not have been possible without the incredible kindness of my Ghanaian hosts. Their enthusiasm and warmth has stayed with me on returning to the UK. Our visit to sit astride live crocodiles at Paga is another experience I won’t forget! Having been born in Ghana, the project also gave me an excuse to revisit for the first time. My Ghanaian name ‘Kwabena‘ (meaning Tuesday-born) was a source of great amusement to my friends out there. What did you find to be successful – and what needs more work? 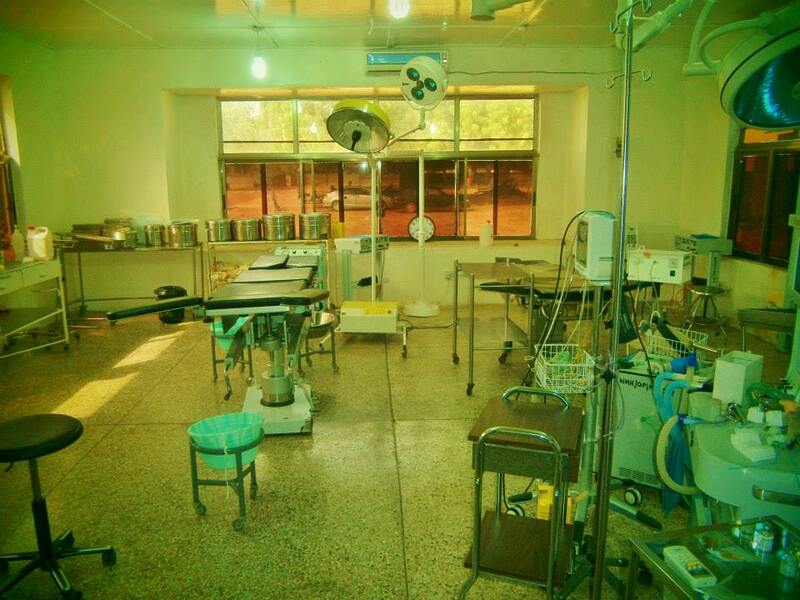 My project findings met expectations, in so far as the Lifebox donation improved understanding of pulse oximetry and the WHO Surgical Safety Checklist amongst anaesthesia providers. 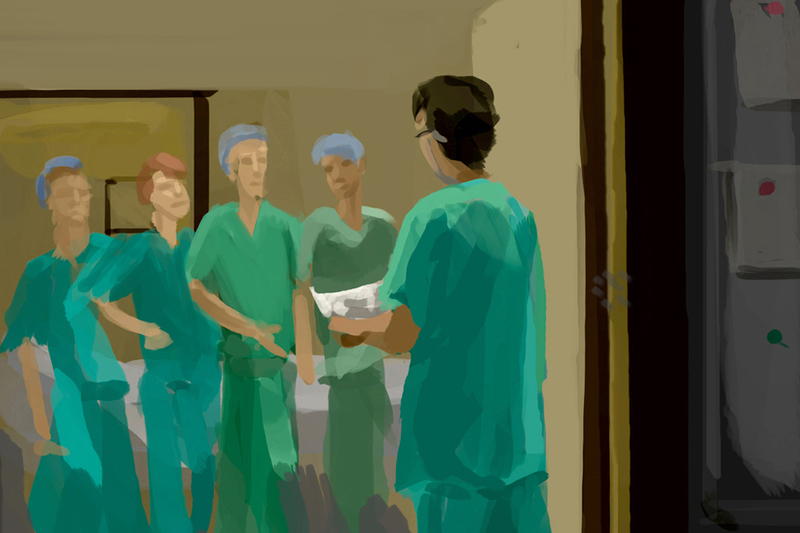 However, I found that a lack of checklist training for other theatre staff, including surgeons, meant the WHO checklist is hardly ever used in practice. It was revealing to hear one surgeon explain that the checklist is not used because “we are very busy and need to look after the patient first”. Therefore education needs to extend to all professionals involved in surgery if they are to routinely engage with checklists. 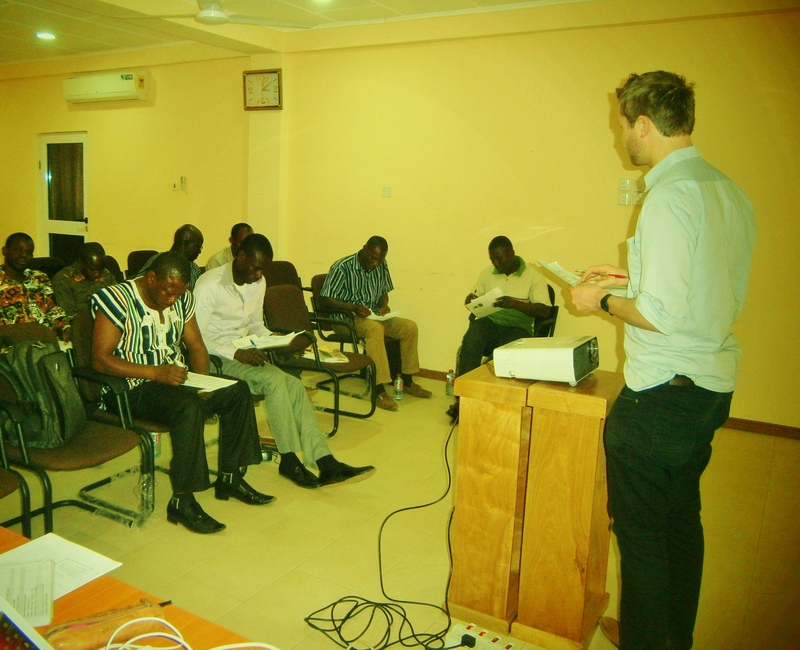 What are the specific challenges anaesthesia providers face in Ghana? 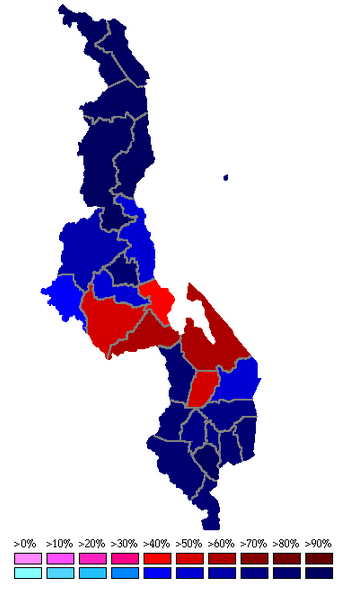 At every hospital I visited in Upper East Region, the caseload far exceeded capacity. With one doctor per 40,000 people, the demand for healthcare is huge and unrelenting. 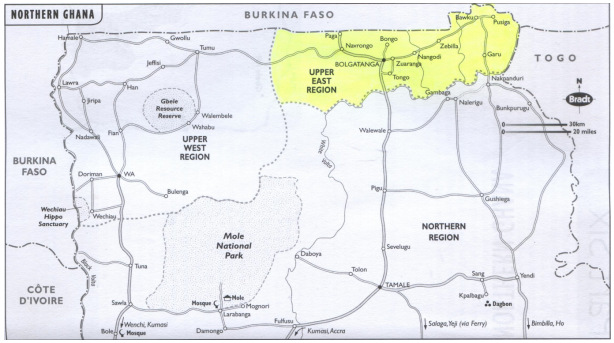 The poverty and geographic isolation of Upper East Region makes it hard to recruit doctors from more populous parts of Ghana in the south. 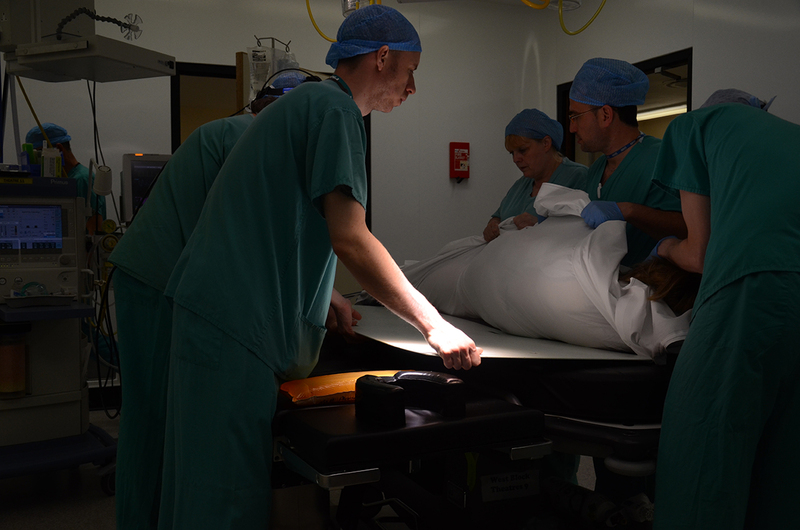 The anaesthesia providers have a vast workload in conditions of extreme professional isolation. I came away with huge admiration for their professionalism in such a difficult working environment. 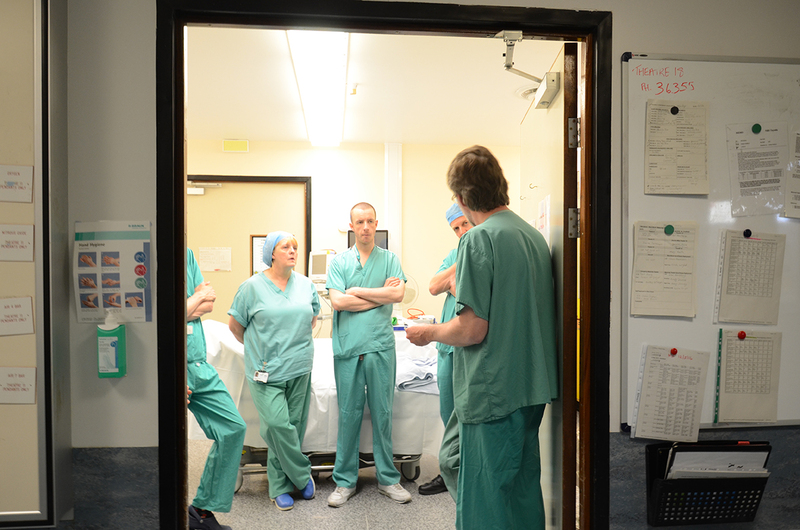 A memorable moment came during a group teaching session for anaesthesia providers from across the region. 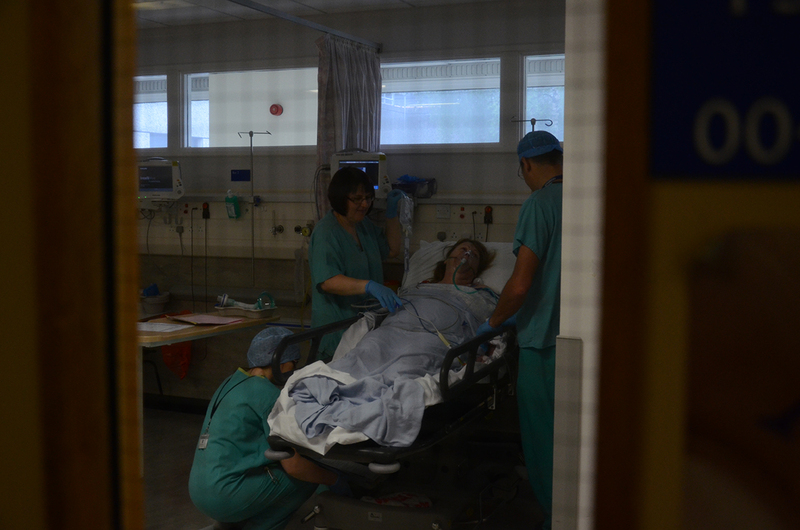 After encouraging everyone to share a tricky case where things had not gone as planned, we found that roughly half the room had experienced critical events with the same drug in the same type of obstetric case. It was the first time they had shared their experiences, and by engaging with each other they discussed how to avoid the same scenario in future. Opportunities for this type of reflective practice are few, but improving with help from Lifebox and the G.A.S. 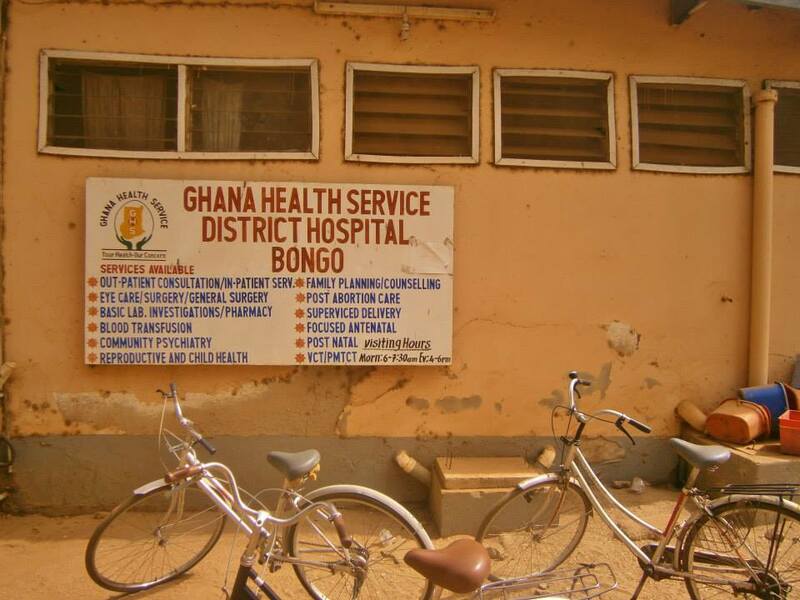 partnership (between Ghana Health Service and University Hospital Southampton). 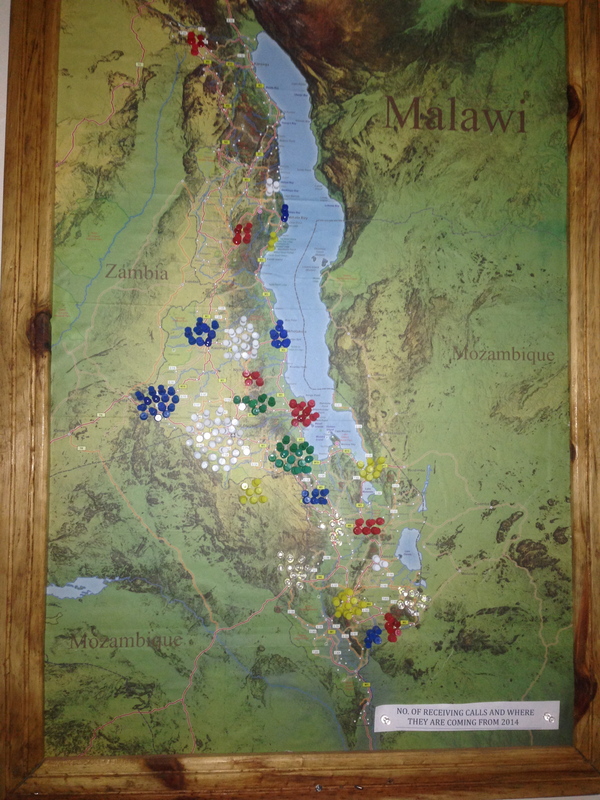 What do you think has been the biggest impact of the Lifebox education and distribution work? 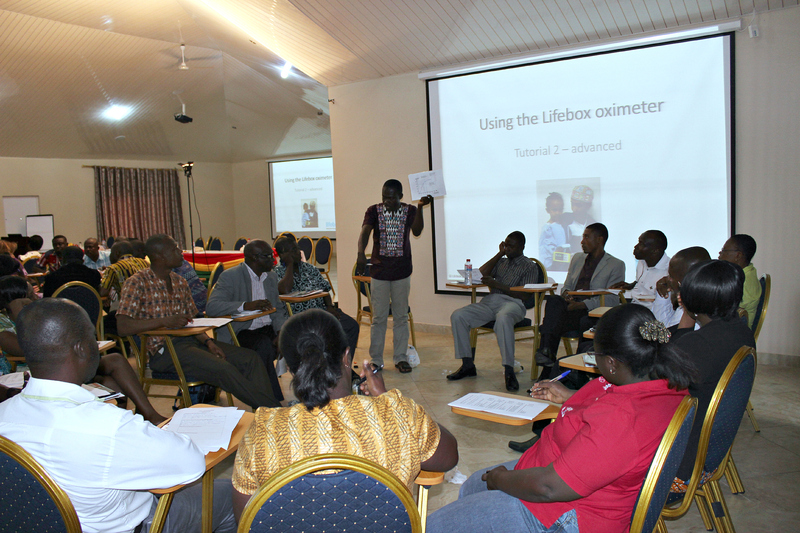 The biggest impact of the Lifebox education and distribution project in Ghana has been to equip every theatre in Upper East Region with pulse oximeters, while ensuring correct interpretation of low SpO2 by clinicians who use oximetry. 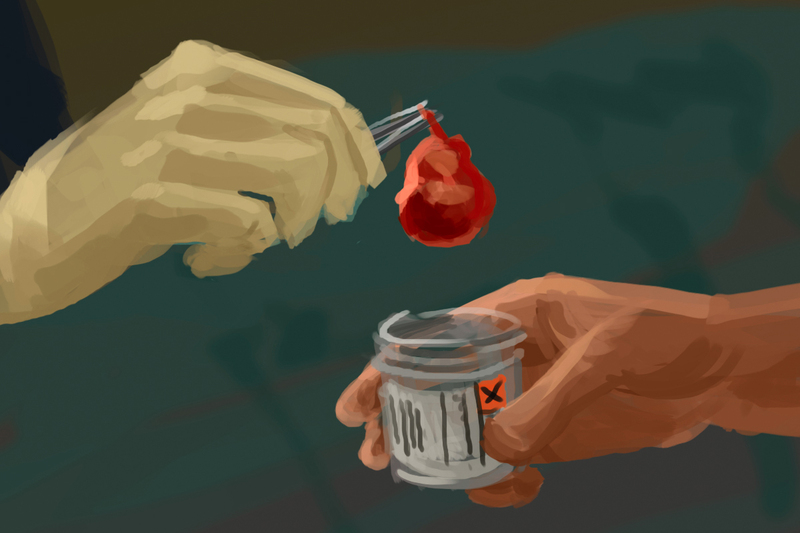 My project found all anaesthesia providers recognised low saturations and knew how to respond. I also believe the Lifebox anaesthesia logbook is crucial to improving patient safety. 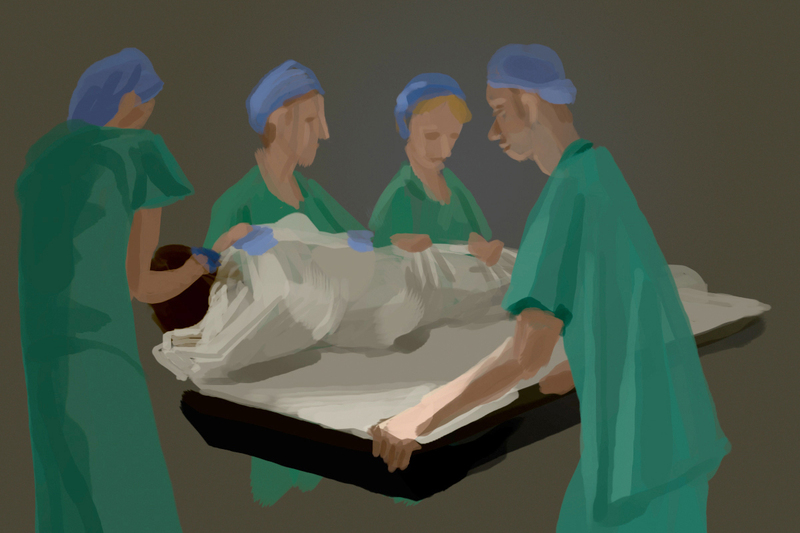 Since the training, anaesthesia providers have recorded critical events in their logbooks, allowing for reflective practice and professional development. Lack of engagement with the WHO checklist is the main area where I feel the continuing efforts of Lifebox are still needed.